Bookings for holiday packages and accommodation are contingent on payment of 25% of the full amount. Full payment guarantees the booking. Payment in full is required by the agreed date. 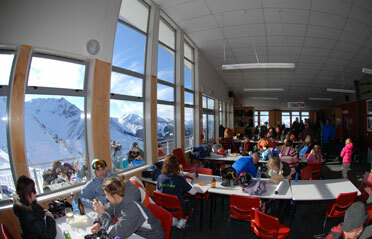 If Mt Cheeseman Ski Club Inc (the Club) has to cancel the booking a full refund will be provided. If the guest wishes to cancel the booking more than one month before the arrival day, a voucher (to the value of the amount paid) will be offered that may be redeemed at a later date. If the guest does not wish to transfer the booking, then the 25% deposit will be retained by the Club. If the guest wishes to cancel the booking less than one month before the arrival day, a voucher (to the value of the amount paid) will be offered that may be redeemed at a later date. If the guest does not want to transfer the booking then 50% of the total amount will be retained by the Club. Special circumstances will be considered at the discretion of Club management. If guests have paid but do not show, they are not eligible for a refund. The Club has discretion for providing refunds in exceptional circumstances. Guests aged under 17 years who are not accompanied by a parent must arrange a guardian who will be present during the holiday. A letter signed by the parent and proposed guardian confirming the arrangement is required. Children under 3 years cannot stay at Snowline Lodge during winter. During busy times guests will be sharing a bunkroom with others (rooms have 4 to 6 bunks). Guests provide their own sleeping bag, pillow case and towel unless linen hire has been arranged. Guests help with light duties which may include assisting with meal preparation (at Snowline Lodge in winter), dishes, cleaning communal areas and tidying up. Use of the Lodges is at the users’ risk. The Club will take all practicable steps to ensure that the Lodges and facilities are safe and in reasonable condition. Users must take all reasonable care when using the Lodges and facilities. Users will adhere to instructions from staff regarding safety and communal living. Persons mis-using the facilities or behaving in an offensive or inappropriate way will be required to leave the mountain and will not be eligible for any refunds. Users who cause any wilful or accidental damage to buildings or plant, will be liable for paying the costs involved for replacement or repair. Users assume all risk of personal injury and property loss or damage. The pass holder uses the ski area at his/her own risk. Securely attached to the users clothing using the attachment loop supplied. Displayed so that the pass is easily visible to staff. 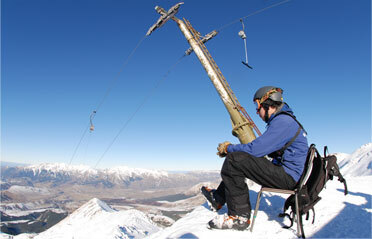 The Club does not accept any responsibility for lost or torn lift passes. If the Club is unable to provide lift services on the Main T-bar through machinery breakdown (for more than one hour) or closure of the field due to weather or unsafe conditions (for the remainder of the day) then a voucher is offered. This does not apply to closure of the Ridge T-bar. The value of the voucher (either half-day or full-day) is determined by the time elapsed since the purchase of the ticket. If the closure occurs less than two hours after full-day ticket purchase a full-day voucher will be issued. 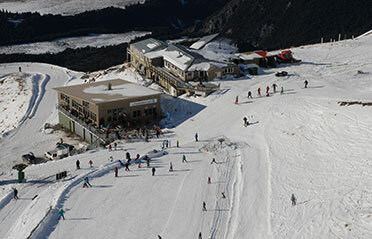 If the closure occurs more than two hours after the purchase of a full-day pass then a half-day voucher will be issued. If it is more than two hours after the purchase of a half-day pass (i.e. after 2.30 pm) then no voucher will be issued. Vouchers will be valid until the end of the next winter season. If it is unacceptable to the visitor to be issued with a voucher (e.g. if the visitor is from overseas or other parts of New Zealand where it would be difficult to return) then a refund will be paid in the same composition as the payment received. If there is limited snow and reduced terrain available there may be reduction of lift pass prices at the discretion of the Club. 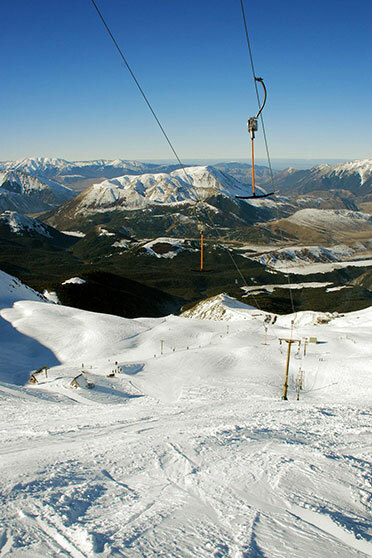 People riding lifts unsafely, putting others in danger on the slopes and/or entering closed areas will be given a verbal warning by a staff member. If this warning is not heeded then their lift pass will be marked. If the unacceptable behaviour continues then the lift pass will be revoked without refund. Skiing or boarding with a child in a backpack is not permitted. If the field closes (or other Club issues result in an incomplete lesson) within 30 minutes of the lesson starting, a voucher to be redeemed at a later date will be issued. If 30 minutes of lesson has been completed then the person is not eligible for a voucher or refund. If it is unacceptable to be issued with a voucher then a refund will be paid in the same composition as the payment received. If the field closes before the lesson commences then a voucher is offered or full refund given. The customer agrees to use hired equipment in a fair and reasonable manner. Hire includes insurance for damage caused by fair wear and tear but not theft, loss or damage caused by negligent or careless use. All equipment will be inspected at the time of return. The customer will be liable for the cost of repair for damage caused by negligent or careless use. Use of the road is at the users’ risk. The Club will take all practicable steps to ensure that the road is safe to use. There are times when all or parts of the road may be closed temporarily for road clearing or snow safety work. The road above Middle Hut and the access road in to Forest Lodge are locked outside the ski season. Access is by arrangement with the Club. The Club recommends where chains should be fitted. Users must adhere to these recommendations and any other road use instructions. The conditions of membership are outlined in sections 5, 6 and 7 of the Constitution of the Mount Cheeseman Ski Club Incorporated, a link to the PDF is at the top of this page.